You might ask, what do poetry and gambling have in common? A person who writes poetry would likely be able to tell you. She/he might speak of the contained excitement of the participants; the slap of cards on the table; the tinkle of the ball rolling around the roulette wheel; the sound of dice tumbling on the craps table. After all, poetry can be written about anything. It is often quite political and has meaning beyond the actual words used. If you write poetry, like poetry, read poetry, or listen to poetry, have I got news for you. Brunswick Little Theatre, in Southport, NC, will be hosting an open mic poetry reading tonight, January 26, beginning at 7 PM. Everyone is invited to read your own poetry or that of someone you admire, or to listen and enjoy the poetry of others. The event is free and cookies will be served. Donating a little to defray the cost of the cookies would be appreciated. Please attend, as attendance will determine whether or not the theatre will hold more readings in the future. The gambling begins tomorrow evening, January 27, at 6 PM. 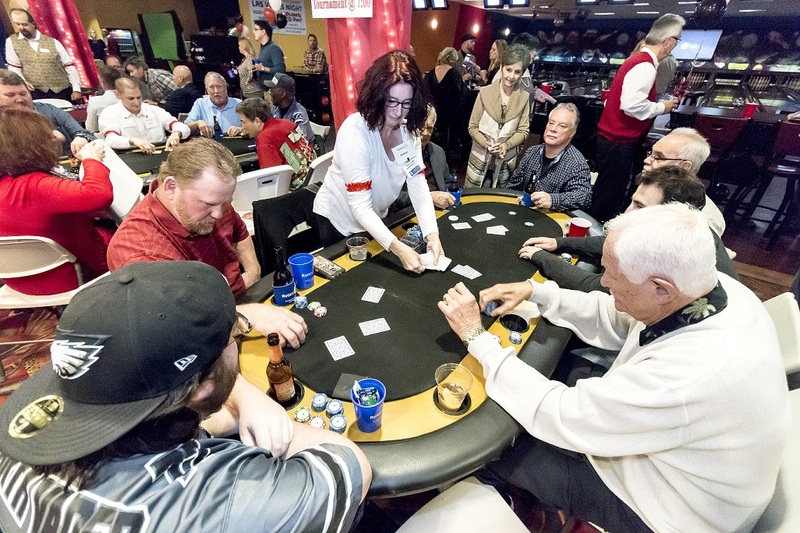 Las Vegas Night, sponsored by the Shallotte Rotary Club, is a fun yearly event and raises funds for good causes. If you enjoy gambling and the casino atmosphere, then take yourself out to Shallotte, NC, to participate. In Southport, NC you can literally sail off into the sunset with your honey after a romantic sailboat wedding. Captain Carolyn Pryor of Sea/Side Ceremonies is an ordained minister who also captains her own sailboat. She can coordinate all the details for you as well. Or you can stage your wedding and your reception in the Southport Community Building, located at likely the loveliest spot in Southport, with gorgeous views of the Cape Fear River. You may prefer to hold your ceremony in an historic church or at one of the lovely and historic bed and breakfast inns scattered throughout Southport. Whatever choice you make, you will find everything you need to plan your wedding. Two excellent choices for catering are Coastal Catering and Events in Boiling Spring Lakes and Taylor Cuisine Cafe & Catering, Inc. on N. Howe Street. Both offer onsite and offsite catering as well as scrumptious food. Weddings on the beach are quite popular on Oak Island, NC and there is a local minister here who specializes in these. You will find caterers, photographers and a bakery for your wedding cake. Turtle Island Restaurant and Catering on E. Oak Island Drive will help you with planning your menu and will cater your event in their restaurant or at another location of your choice. Photographers Mike Boswell and Phyllis Allen both have their studios on Oak Island. Why not tie the knot at your favorite vacation location? 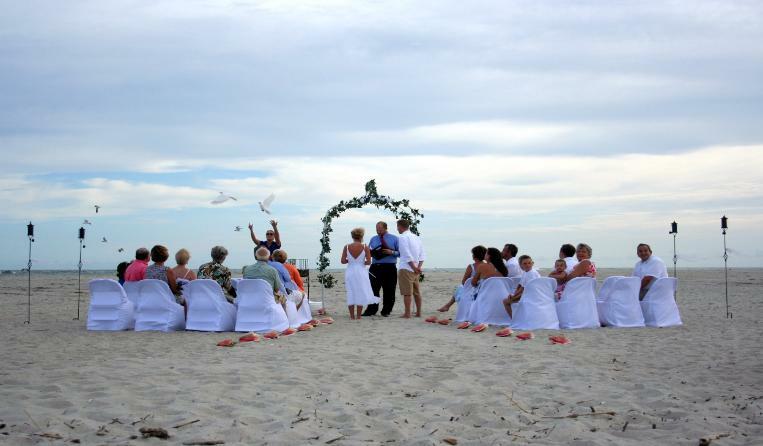 On Oak Island there are miles of beaches with numerous lovely locations for your wedding. Coastal Vacation Resorts Oak Island also has some stunning rental homes available for weddings. They will be happy to offer a group of rental houses for all your guests as well. These are just a few of the companies that will be happy to assist you in making your special day everything you dream it will be. 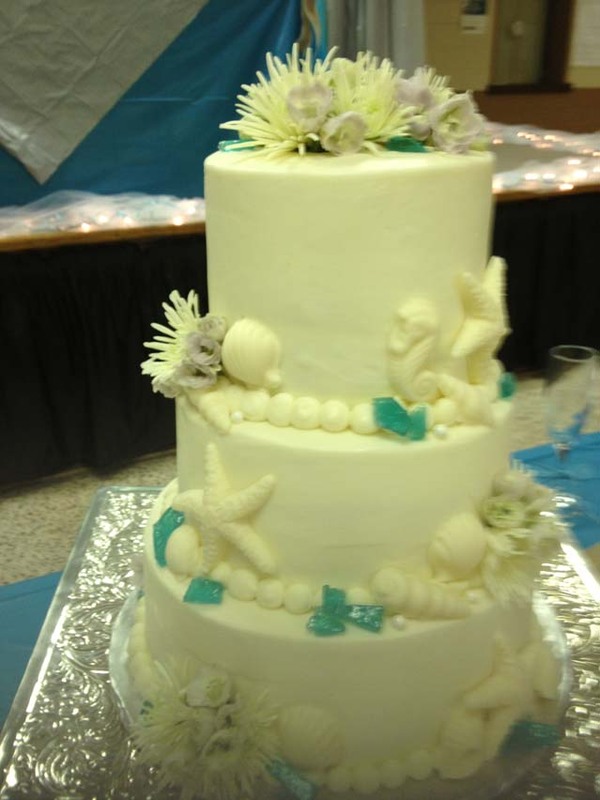 You can also find wedding cake bakers, florists, music, rental equipment and more. Check out our site at http://www.insiderinfo.us.